We have worked with vendor partners and design teams to select over 800 options and amenities for your comfort and style. These options and amenities allow you to define your personality and lifestyle with interior features that enhance the beauty, comfort and value of your home. Doors, fireplaces, faucets, lighting, cabinets, windows, appliances, tubs/showers, exterior siding, flooring…we offer the latest trends for your new home. Interior door options are offered in a variety of wood grains, finishes and designs. Our 6- panel standard design, which is perfect for any home, has a classic look with wood grain texture. Other interior options include doors with rustic knotty pine, raised molding, distinguished unique panel planking, and many others that make a grand impression, adding elegance warmth and richness to any room. We also offer black, white, or stainless steel, side-by-side, built-in, king-size capacity and over-the-range appliances. Southern Heritage is pleased to offer a variety of Kohler kitchen and bathroom faucets. The Kohler brand delivers exceptionally well-made, stylish products for the kitchen and bath. Additionally, our selection of beautiful bath accessories, bar faucets and toilets are an excellent complement to your new home. Our standard bath and tub configurations meet the needs of most homeowners and optional features for energy efficiency and added luxury are offered to fit your lifestyle needs. 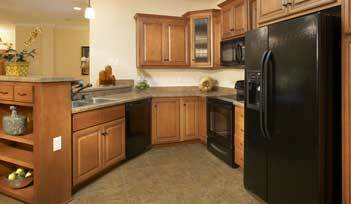 Our cabinetry offers consumers a variety of wood types, styles and colors. Quality craftsmanship is always found in our pullout shelves, bookcases, tilt trays and other accessories. Turn your kitchen into your dream kitchen with a stylish cabinet such as our Shaker style pecan. Or indulge in a chocolate glaze finish option or a pecan or pewter that sets the cabinets off with rich, deep outlines to accentuate the wood. 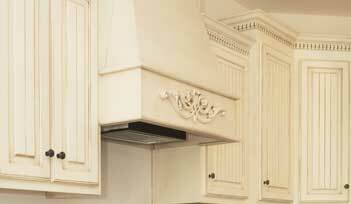 Our cabinet options stay current with design trends. Let our design consultant help you pick out the perfect choice for your dream kitchen. 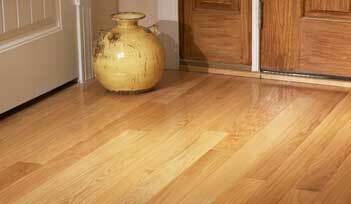 Southern Heritage offers flooring from the world’s premier manufacturer of hardwood floors. We also provide top quality carpet, ceramic tile, and laminate flooring in an array of styles and colors. Fireplaces are not only a great way to stay warm and cozy in the winter months, they are fantastic focal points for the rooms in any home and may even add value to your investment. 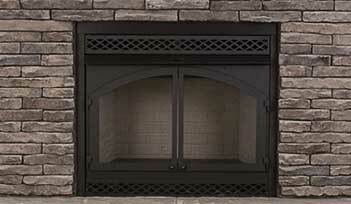 Our gas or real-log additions can add an extra touch of elegance. Light up your life with our striking collection of interior light fixtures. We offer a variety of lighting with brushed silver and bronze finishes to choose from including recess lighting for dramatic mood settings.